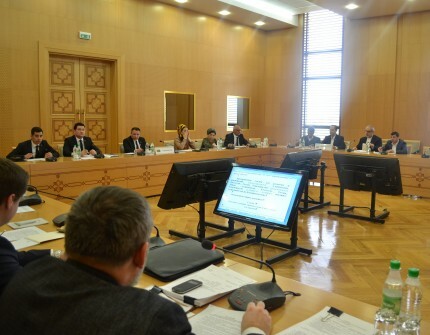 On 14th of March, 2019 the first meeting of the authorized representatives of the Caspian littoral states for discussing and matching the project «Agreement between the governments of the Caspian states on cooperation in the field of scientific research on the Caspian Sea» began its work at the Ministry of Foreign Affairs of Turkmenistan. Under the instruction of President Gurbanguly Berdimuhamedov, the event was organized by the Ministry of Foreign Affairs and the State Enterprise for the Caspian Sea under the President of Turkmenistan. During the first meeting the experts of the Republic of Azerbaijan, the Islamic Republic of Iran, Republic of Kazakhstan, the Russian Federation and Turkmenistan, started the work process of discussing the project of agreement and matching the offers of the sides. This project, which is drawn up in order to strengthen and develop the law structure for cooperation in areas of carrying out various works on a scientific basis, monitoring and assuming natural and manmade incidents on the Caspian Sea, has special priorities in comprehensive development of the cooperation of Turkmenistan with Caspian littoral states on a long time base. The first meeting of authorized representatives of the Caspian states to agree on the text of the project «Agreement between the governments of the Caspian states on cooperation in the field of scientific research on the Caspian Sea» will be finished on 15th of March.